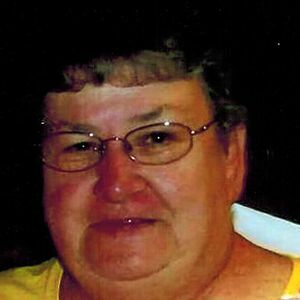 aine Faye Wolf, age 71 of Prophetstown, died Sunday, May 10, 2015 at Presence Mercy Medical Center in Aurora. Elaine was born on January 11, 1944 in Dixon; the daughter of William "Emmett" and Clara "Blanche" (Ackley) Johnson. She married Nathan Wolf on June 23, 1967 in Rock Falls. Elaine was employed by Climco Coils in Morrison for 15 years as an assembler. She enjoyed crafting, sewing and playing dominos. Elaine loved to travel and most of all spend time with her grandchildren. Survivors include her husband, Nathan; one daughter, Vicki (Corey) Willett of Sterling; three sons, Kenneth (Cris) Wolf of Princeton, IN, Troy (Kim) Wolf of China, MI and Chris Wolf of Streator, IL; four sisters, Millie Blackburn of Dixon, Ruth Bauer of Phoenix, AZ, Hazel Davis of Montgomery, IL and Helen Newby of Oswego, IL; five grandchildren, Raven, Joshua, Kira, Devyn and Katie and many nieces and nephews. She was preceded in death by her parents; three brothers and three sisters. Visitation will be Wednesday, May 13, 2015 from 6:00-8:00 P.M. at the McDonald Funeral Home in Prophetstown. Funeral service will be Thursday, May 14, 2015 at 1:00 P.M. at the funeral home with Pastor Cheri Stewart officiating. Burial will follow at Riverside Cemetery in Prophetstown. In lieu of flowers, memorials may be made to the Prophetstown Fire Department.